Do you have a big boring, empty wall that makes you feel closed in? 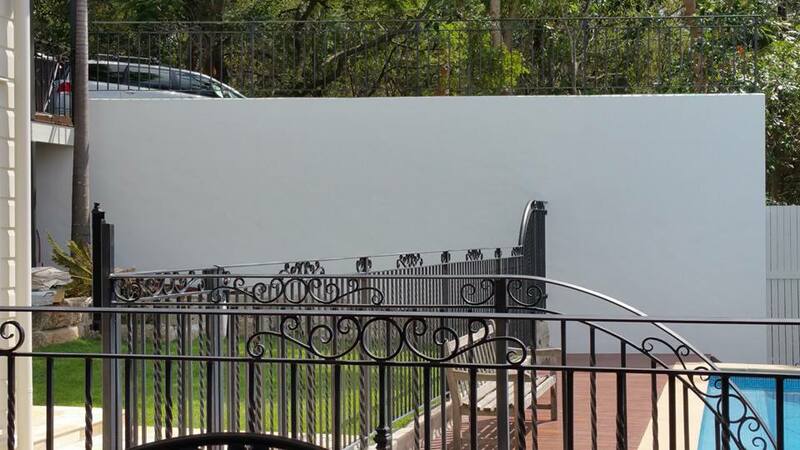 Need a mural to make it open out and feel really spacious? You’ve come to the right place – murals are my specialty! 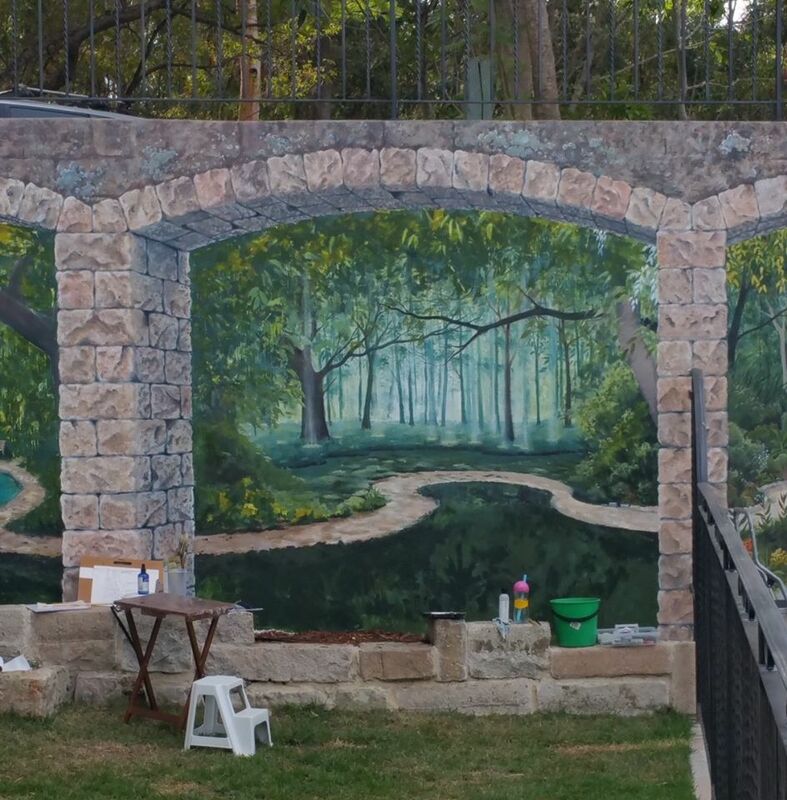 A mural can transform the ugliness of graffiti into a “Wow!” factor image that stops people in their tracks. 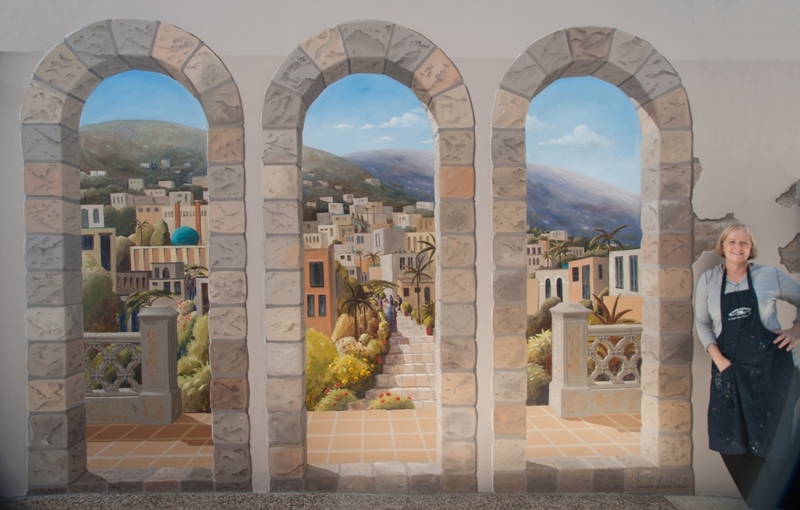 Trompe l’oeil (or “trick the eye”) murals give an illusion of depth and 3D space. 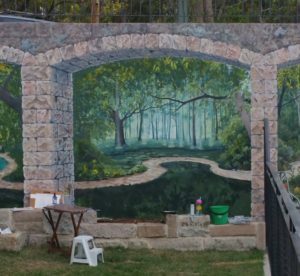 These murals can magically change a cramped space into a wonderful spacious view. Give me a call if you’d like me to come out and visit you to check out your wall and offer some suggestions of how we could transform it. What sort of surface can you paint on? It must be a sealed surface that is reasonably smooth. 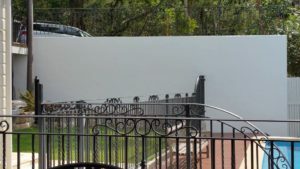 For example if it is a flat rendered wall, ideally the final coat of render would be smooth and have a few coats of primer/sealer and acrylic exterior paint. What colour is the best colour for the wall before you start to paint? White is the best, or a fairly neutral pale stone or grey colour. What if we’re not sure what to paint on the wall? 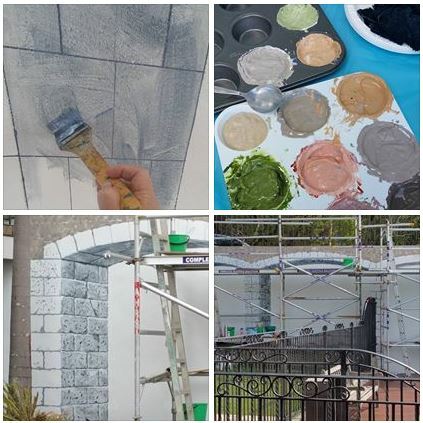 I am happy to discuss ideas with you and come up with something that will be a real wow factor for the wall and the location. You are in full control of the final result. Can I get you to paint things that are special to me in the mural? Of course! I often do this for clients You are in charge. I am happy to add in or hide any little subject matter that you want in the mural. It could be your favourite tree, flower, your pet, or a half hidden symbol or word that means a lot to you. Just let me know! What if the wall is really high? I will measure up beforehand and arrange for safety ladders or scaffolding quote. This will be included in my written quote to you. Just think of the amount of joy you will get every time you look on your mural in the years to come. And how you will feel whenever a visitor exclaims “Wow!”. These benefits that swell your heart with joy will of course be priceless! When will the job begin? I often have several commission jobs in a queue. I am very open about what jobs I have currently got on while we are chatting in initial stages, as I dont want to disappoint you if the timing is not right. The order that jobs are done is in the order that we receive the deposits. So as soon as you pay your initial deposit, you will be put in the queue and I will of course let you know an estimate for when the job is likely to start. Is there any risk of damage to our premises? I always take great care with your property while I am painting there. I have very large tarpaulins to protect all surfaces and I also have full insurance in the business to cover us in case of any unexpected problems. But you can trust me to take a lot of care! Just as if it is my own home. 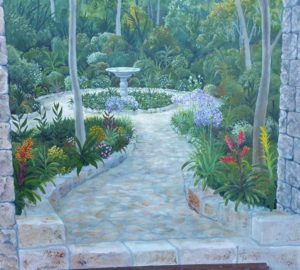 In all my years of painting mural commissions (since 2001) for both corporate and private clients, I have never had any problems. What if we don’t like the end result? We have a Happiness Guarantee that makes sure you will be happy. Here’s how it works: We spend time to discuss ideas together first, then I will prepare a small sketch of the final result so you know exactly what you will be getting, in advance. All the way along, if you would like anything changed, I am happy to do that. If there is no backtracking on work you’ve already asked me to do, then there will be no additional cost! We are here to serve. You are in full control of what is painted on the wall. We guarantee that you will love the end result! How do I know what it is going to look like before it gets painted? Together we work on a design of the entire mural before the first lick of paint goes up on the wall, so you can see what it will look like beforehand. I will create a small sketch or painting of the entire mural, drawn to scale, for you to approve. 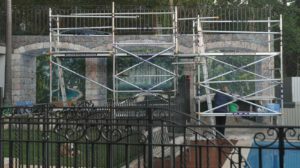 Your input is essential at this stage to get exactly what you are wanting in the mural. 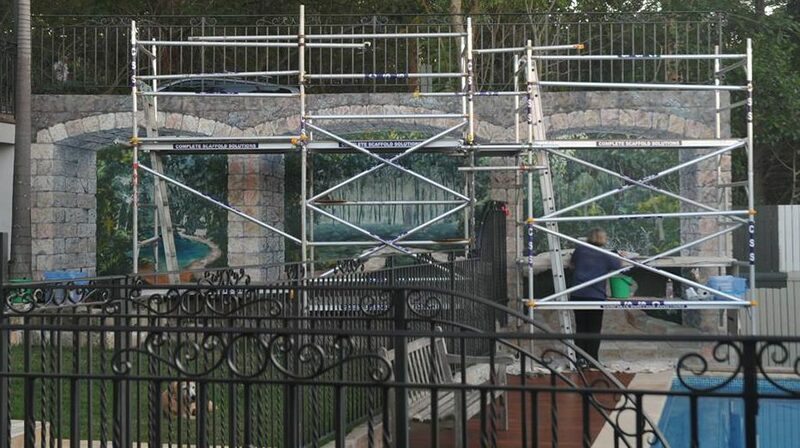 We work together until you are completely happy with the design of the mural, before work goes ahead. When we chat, we will agree on the size and scope of the job so I can prepare a full specification and quotation that details exactly what we have talked about, in writing. We can also work out how your payments will be spread out over the job. Give me a call so we can get started!